So, I polled our members for their favorites, and we’ve got them right here in this one post to help you get ready for the new school year! First, from Ashley Gibson Bonkofsky. She uses a balloon pump and it is the most requested toy in her clinic. It’s great for following directions, compare/contrast, sequencing, comparatives/superlatives, prepositions and…. well, just as reinforcers! 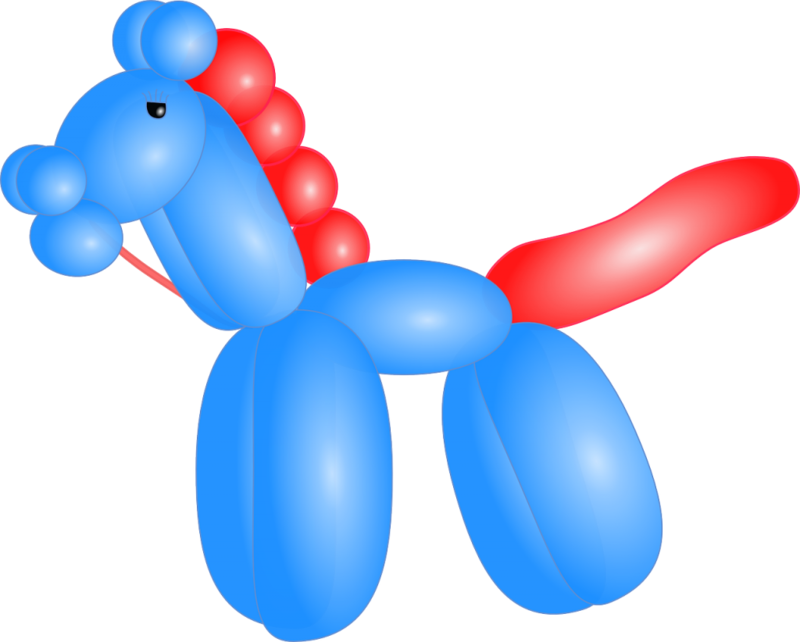 I can attest to kids’ love of balloon animals. When my daughter was in high school she volunteered with the therapeutic recreation group in our city. She bought herself a pump and a book on making balloon animals and they were always a huge hit with all ages. Second, from Collette Tovee. Collette uses a lot of puzzles in therapy. Below is one that got used a lot this year. She says they’re great for vocabulary, answering questions, and social language. I work with a lot of kids with autism who love puzzles. Next, from Ashley Douglas Rossi (Did you notice my use of transition words here? Nice speechy thing to note) is the Apples to Apples word game. It is fabulous for working on vocabulary and synonyms. And she says you can select specific cards for articulation practice. This is a great vocabulary game! Linda Look uses dice and foam cubes all the time with older kids. Scroll down to the end of the post for a link to her blog post about different ways to use them in therapy. She has some great ideas. I love her suggestion for BINGO games with dice: Did you ever play BINGO with dice? 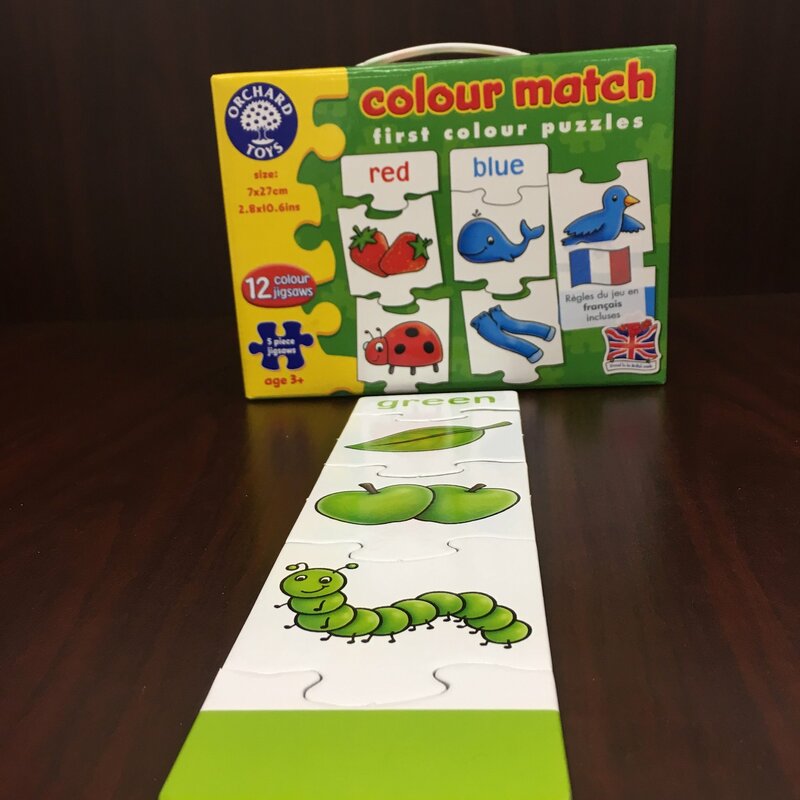 If you use two different colors to number the boxes, students can roll to see which box to answer about and cover. Inexpensive, easy, and can be used with any open-ended game card or board. Sarah Wu, once best known for her food/healthy lunch rooms blog, likes to use play food – and a play kitchen if you have one (and have someplace to put it). I can think of lots of uses from vocabulary, categorizing and describing to social language during play meal times. Lisette Edgar loves blocks. Well, who doesn’t love making fun towers of color? She uses them lots of ways. Give one to the child for each response as a motivator and build a tower or fort. I like to place two different colored blocks in front of the child when we are working on final consonant deletion, syllables or grammatical word endings. We touch the first block as we say the onset of the first word, and the second block for the ending. Or line them up and use them as an impromptu pacing board. Of course, they are great for working on positional concepts, when you place one behind, under or next to a stuffed animal. And pronouns? Hand out different colors and ask who has the red one? She does! Jennifer Bradley loves Connect 4. I admit, most kids I know love using Connect 4 in therapy. They like the challenge of the game. Jennifer likes all of the possible turns each student can make within a game. Loads of practice, whatever your target. 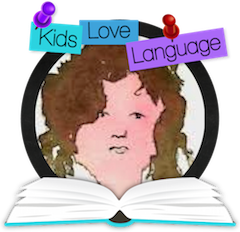 When I was doing therapy with the “Language-Based” classrooms in a school district I had some games that the kids LOVED to play, even when parts of the game were difficult. I became a big fan of Ravensburger games (no affiliate links, and they’ve never given me any money or free games). One of the all time favorites was the Hidden Garden game. I don’t see it on their website currently, so it may be gone. It was terrific for teaching kids how to answer questions, as well as how to strategically ask questions to get at the secret item. Now I work a lot with younger kids and my go-to toy/activity when I’m approaching a young one for an evaluation is bubbles. Everyone loves bubbles (even bigger kids). I can create entire conversations on a speech generating device while modeling for kids who haven’t had experience with using pictures to communicate. I buy the jumbo bottles (on-line) from Gymboree (again, no affiliation or renumeration). They last forever, leaving a carpet of little bubbles in your room. And while you’re playing with them, you can model so much language. 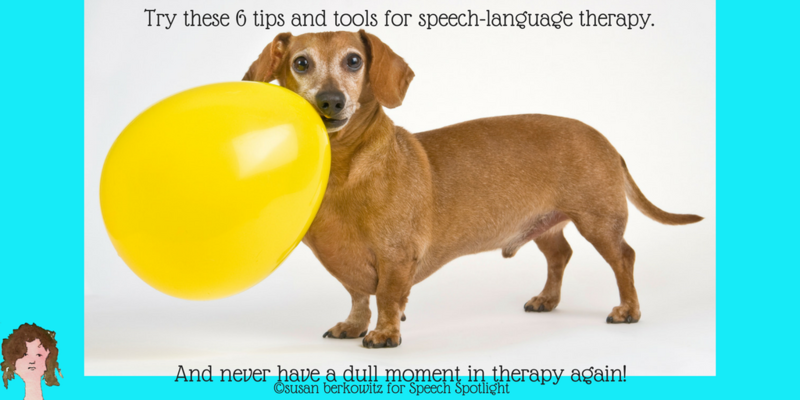 If you have favorite toys, games, or tips for busy SLPs, by all means, share them with us! We’d love to hear from you. In the meantime, keep on talking!